For fall 2015, Guerlain introduces Bloom of Rose collection, inspired by the natural beauty of the rose, to create an ultra versatile collection that’s modern and feminine. The two new innovations for the season are Rose aux Joues blush and KissKiss Roselip Hydrating & Plumping Tinted Lip Balm. The shade I have is Pink Me Up, a medium pink with soft silver shimmers. 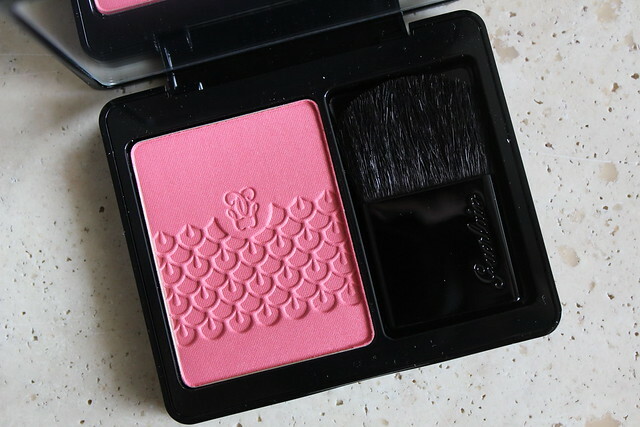 I was really disappointed when I first played with this blush as the texture felt very dry and chalky. 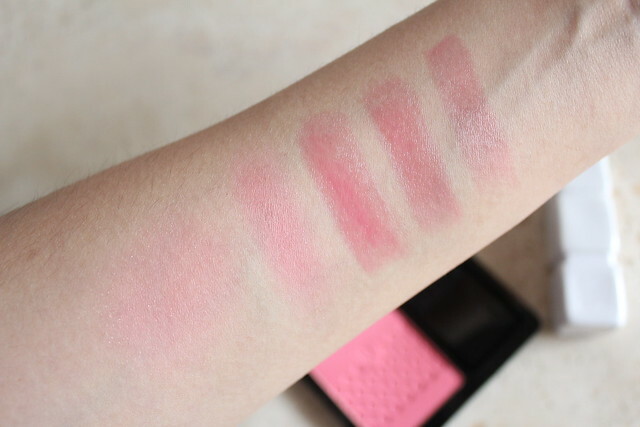 Pigmentation was not very good either as swatched, as I required multiple swipes to get it to show up on my arm. The worst thing wasn’t even the pigmentation, rather that the silver shimmers felt glittery and there was a lot of shimmery flyaway that just fell off the skin. 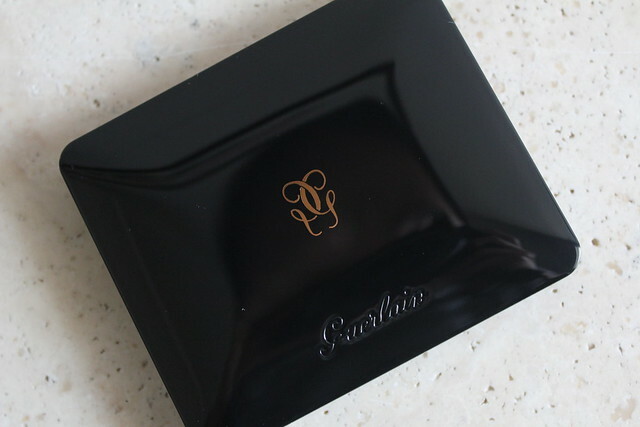 On the cheeks, this performed much better – it wasn’t as dry as it felt originally and pigmentation improved tenfold. 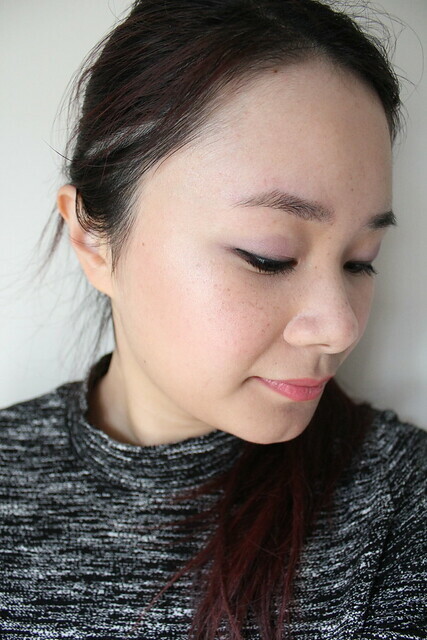 I used the Wayne Goss Brush 02 and it was able to pick up a lot of colour in just one dip of the brush, so you’ll need to be careful about not overapplying. It blends in a bit patchy on the cheeks, but it wasn’t as terrible as I expected it to be especially since it swatched pretty terribly. 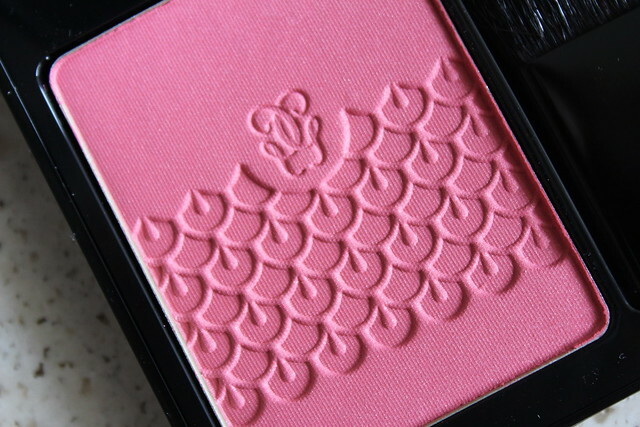 It wears very similar to the Meteorites Perles de Blush from Spring in that it creates a healthy, pink flush of colour. It brightens up my entire face – even on a sad, rainy day in Vancouver. 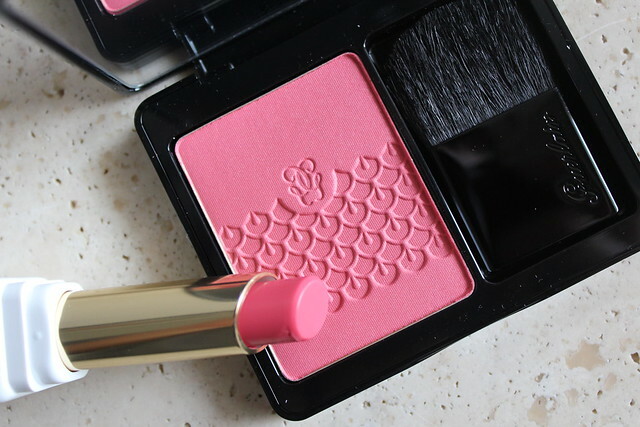 Overall, I’d skip this blush. For C$57 it’s really not worth that extra effort. 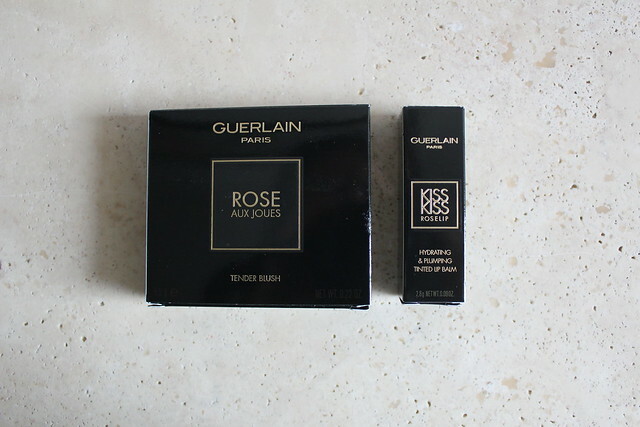 Alternatively, if you’re looking for a fresh pink blush and you insist on Guerlain, you should see if you can still get the Meteorites Perles de Blush because the effects are nearly identical. 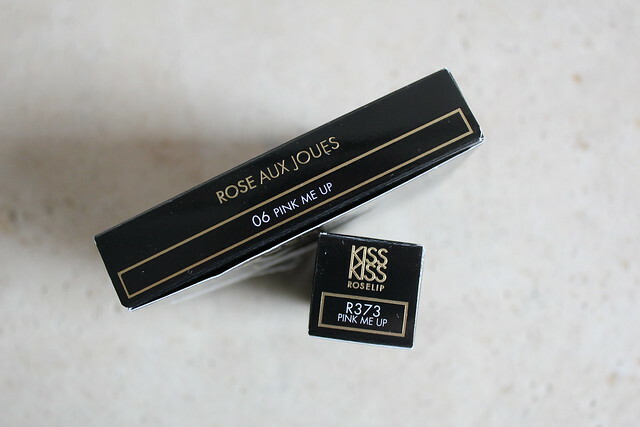 I have the matching KissKiss Roselip in Pink Me Up, which is a delicate sheer medium pink. On the lips, there’s just a slight tint that smooths and brightens the natural lip colour – it’s truly a my lips but better shade. It also helps to brighten up my face for those days when I’m not sleeping enough. 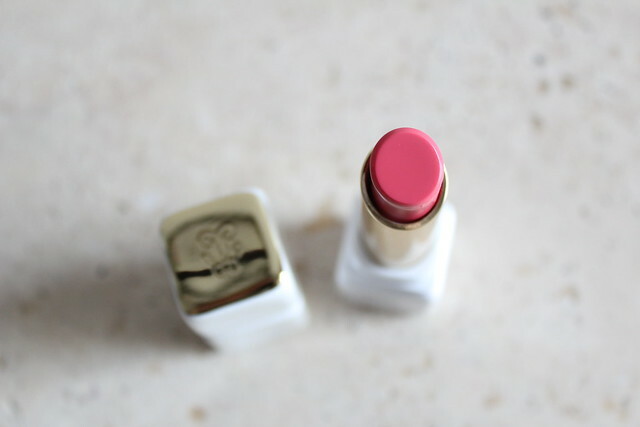 As a tinted lip balm, it’s also very emollient and lightly hydrating. I mostly wear this at the office when I need a subtle lip colour to make me look more alive, and Pink Me Up definitely achieves that. I do eat and drink at the office a lot though, but despite that, I can still get around 2-3 hours of wear time. 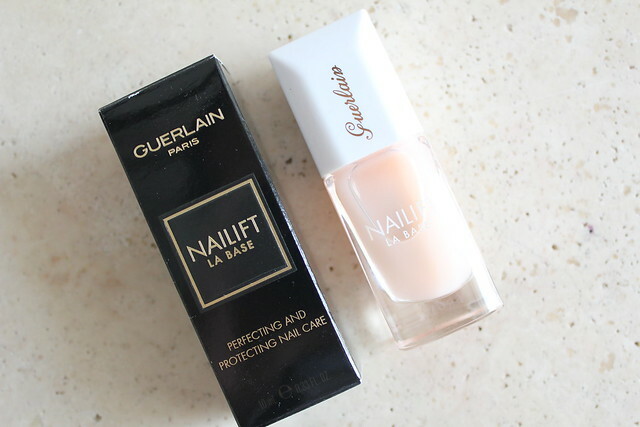 In addition to the Rose aux Joues and the KissKis Roselip, there’s also a new nail product – the Nailift La Base (C$29) that contains Argan oil to nourish and protect the nail bed; DMU, acting as the keratin of the nail to fortify the nails; and DSB to hydrate and regenerate the nails. 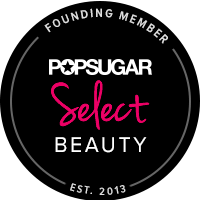 As a nail colour base coat, it didn’t really wow me in any way – it didn’t make my nail colour last longer, and it doesn’t provide a smoother base than any of my other base coats. The one thing I would use this for is a natural nail “glow” on its own. When you wear this on its own, you get a natural, healthy sheen on your nails. For constant nail polish wearers with more brittle nails, this is a great more natural-looking alternative. 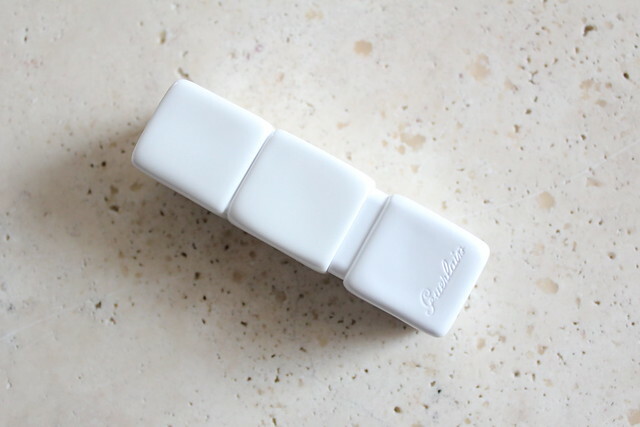 It’s also easy to apply – the wide flat brush contours to my nail bed and provides quick and precise application. The Bloom of Rose collection for fall 2015 also includes Ecrin 6 Couleurs Eyeshadow Palette in Beaugrenelle, Ecrin 4 Couleurs in Les Cendres, KissKiss Lipstick in Orange Fizz (345) and Lady Pink (370), Gloss d’Enfer in Candy Hop (472) and Nahema Smack (442). The Bloom of Rose collection is available now at Guerlain counters across Canada. 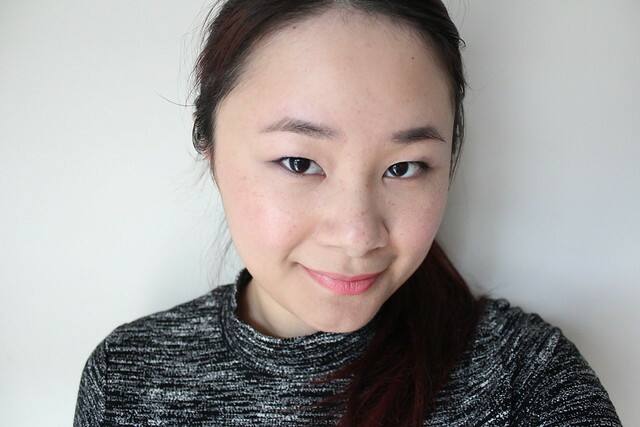 « Beauty Influencer’s Sunday Column Vol.15: ​​How do you overcome blogger’s block? 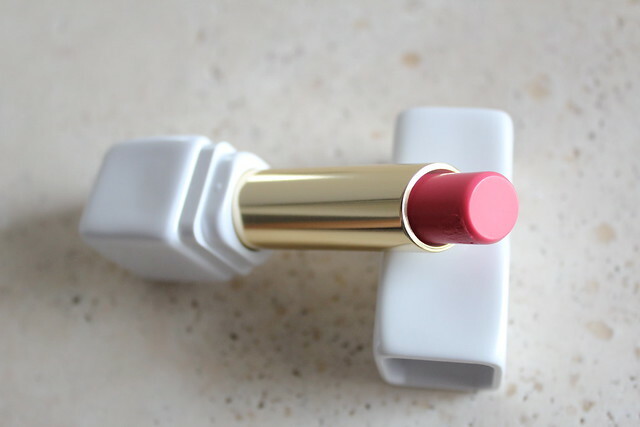 the packaging of that lipstick is divine! I agree! Love the white.